Department of Defense (DOD) implementing more security. They are implementing a new technology which will blend biometric passwords without adding new hardware. 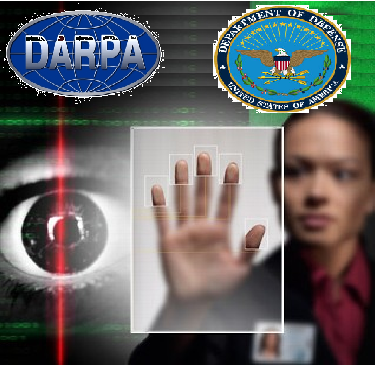 DARPA on Friday issued a broad agency announcement (DARPA-BAA-12-06) for the initial phase of the Active Authentication program to develop software-based biometric approaches to verify the identities of authorized DOD computer users not only at login, but also throughout the courses of the users' computer sessions. Military information security experts at the U.S. Defense Advanced Research Projects Agency in Arlington,they are asking for industry's help in developing ways to blend biometrics into U.S. Department of Defense (DOD) military cyber security systems without installing new hardware. The intent is no only to save time and money, but also to help bolster existing DOD computer security that relies primarily on requiring uses to type in long and complex passwords. The Active Authentication program seeks to change the DOD's current cyber security focus from user passwords and common access cards when validating identity on DOD computer systems. Instead, the program seeks to focus on software-based user biometrics that does not require installation of new cyber-security software.